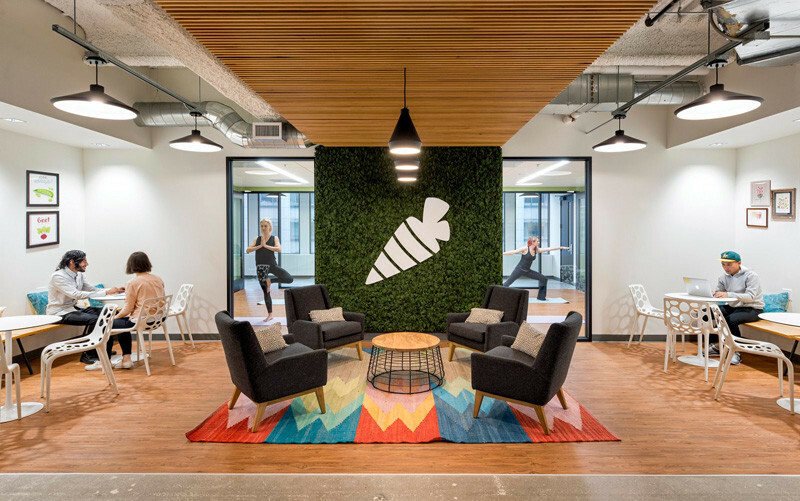 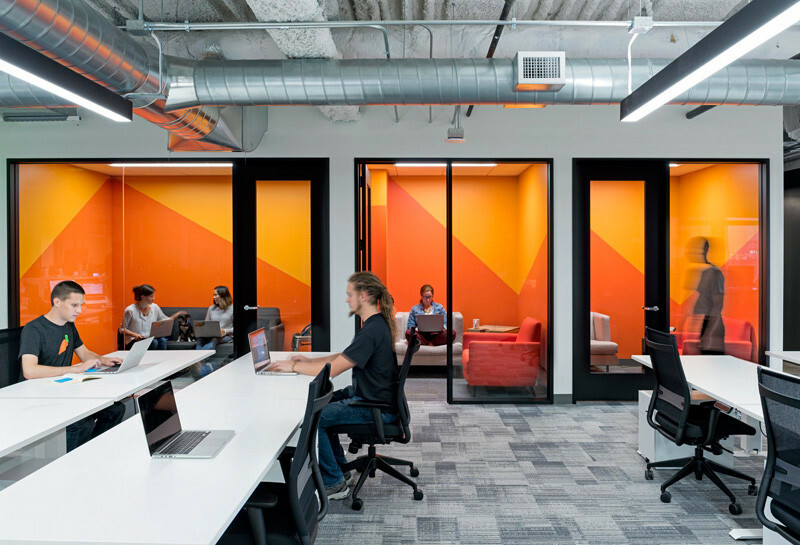 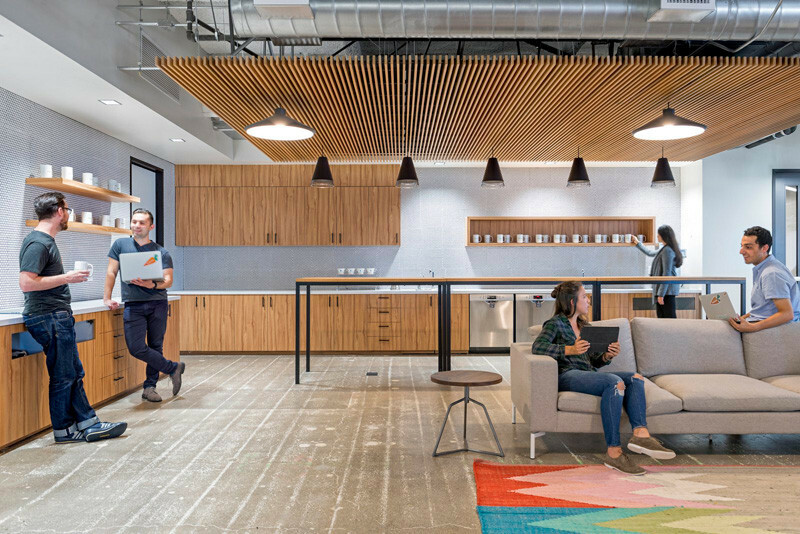 Architecture and interior design firm Blitz, were approached by Instacart, to design their new San Francisco office, to accommodate a rapidly growing staff. 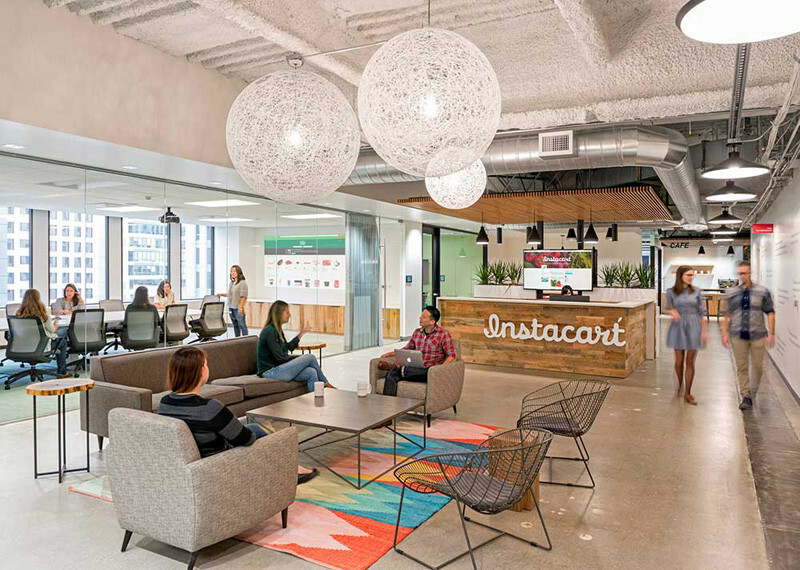 Throughout the space, references to food have been made, as Instacart is an internet based grocery service. 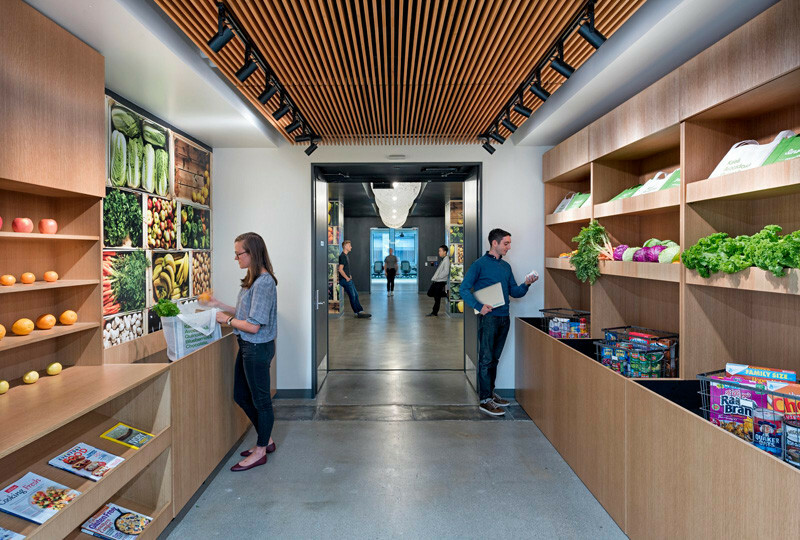 For example, this carrot. 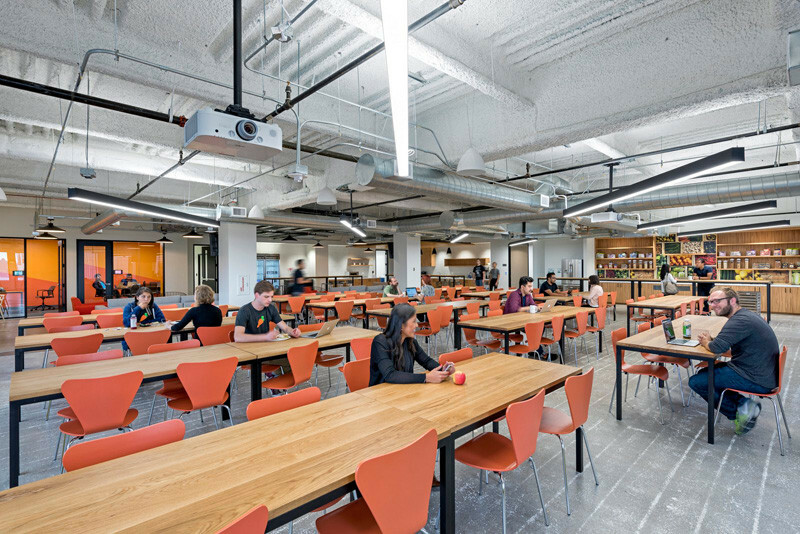 Produce boxes were transformed into custom bar height tables for quick meetings. 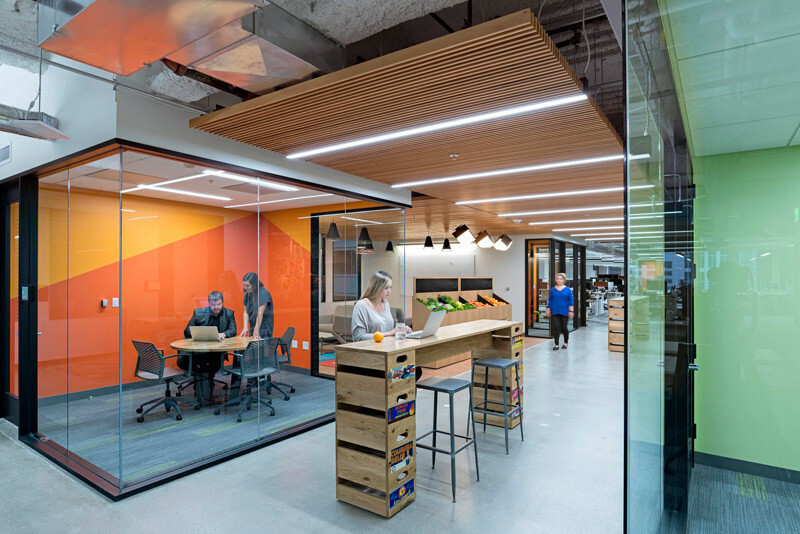 All of the meeting rooms in the office have a strong two-toned paint palette to express the sliced carrot, which is so inherent to the Instacart brand. 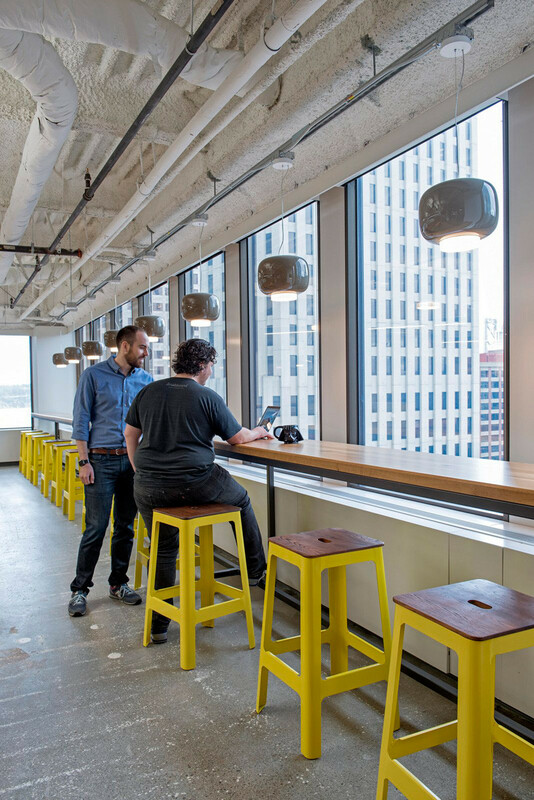 Window seating gives employees a chance to work, and at the same time, enjoy the view . 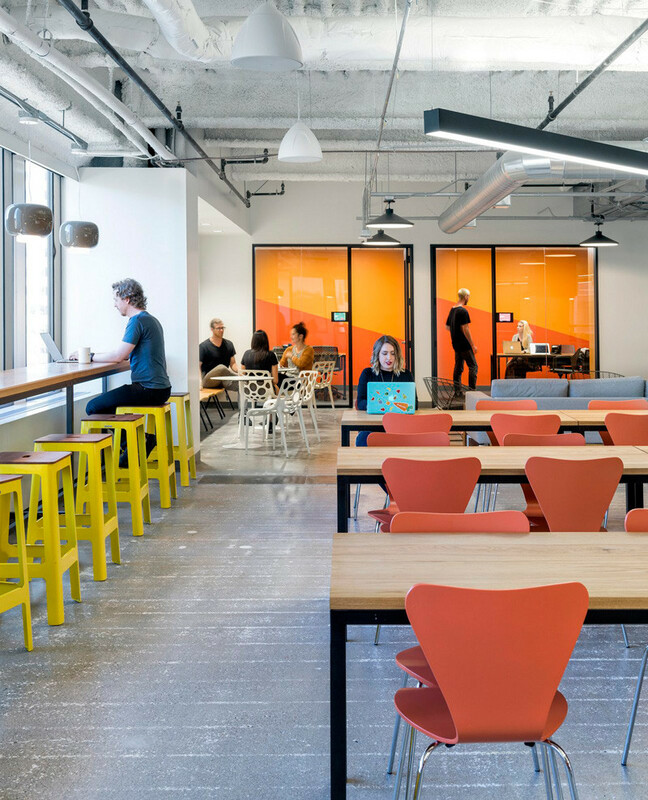 There are plenty of informal spaces around the office for collaboration and socialization. 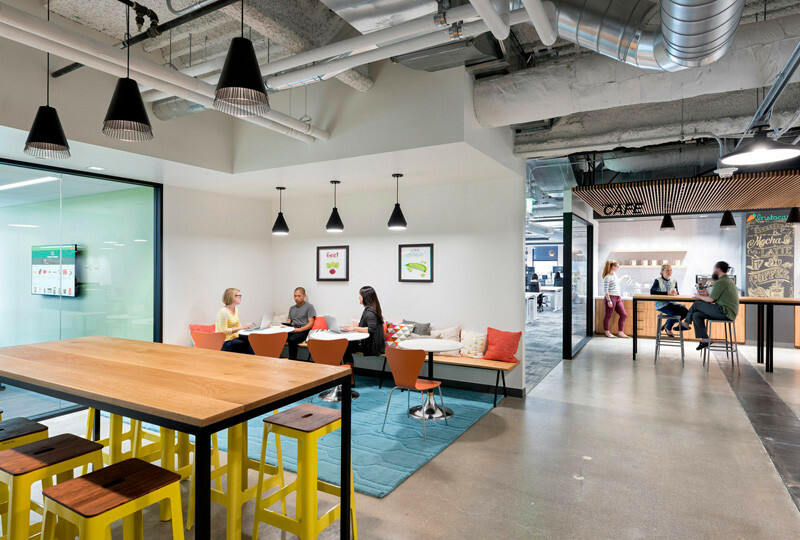 Tucked into corners, are other small meeting / working areas. 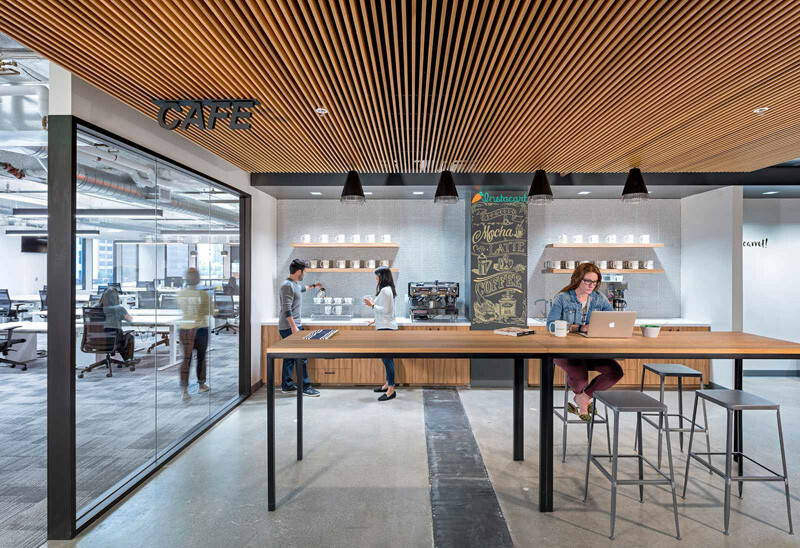 Here is one of the cafes available for staff. 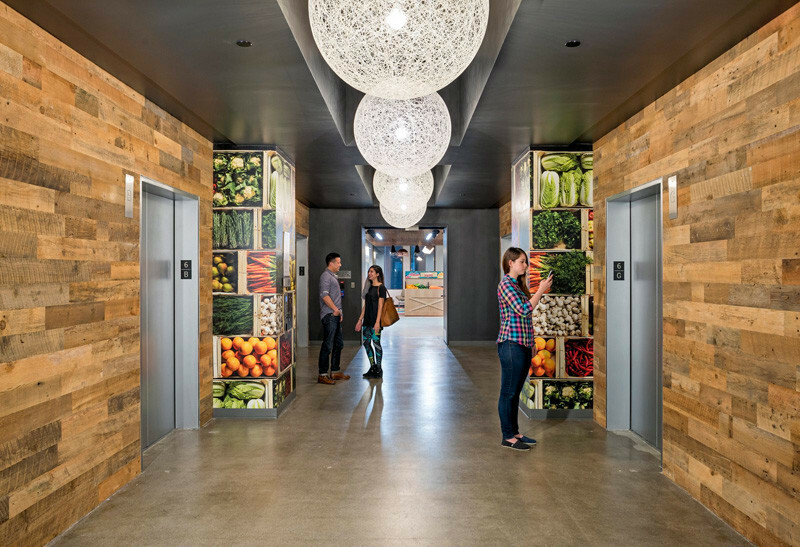 There is also a grocery display, located adjacent to the elevator entrance, that offers Instacart products such as fresh fruits and veggies to the staff, and pays homage to the grocery shopping experience. 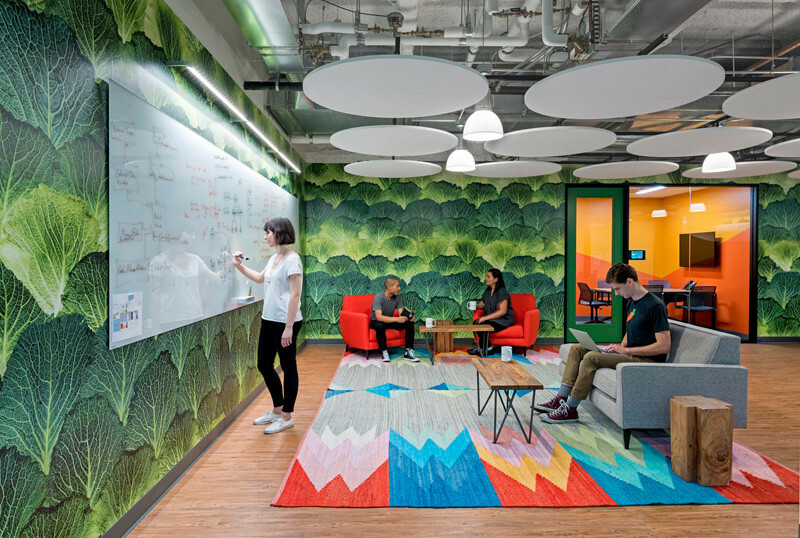 This informal work space has walls covered in cabbage wallpaper. 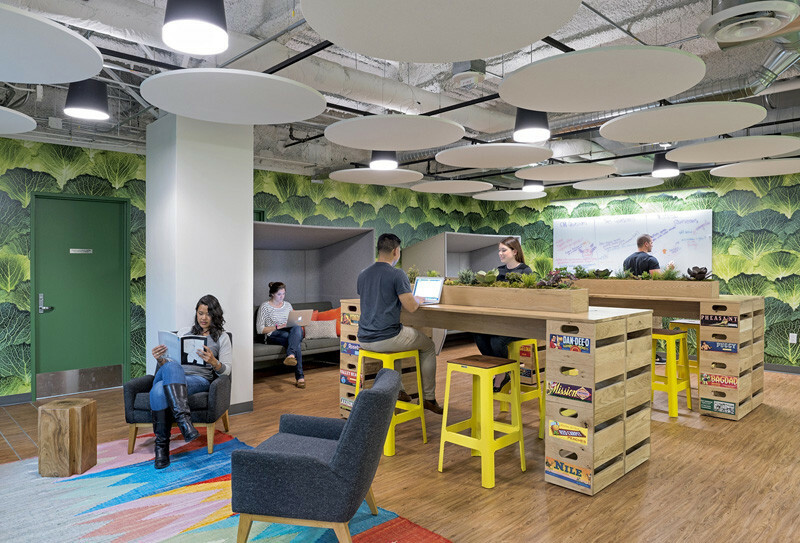 Again, produce boxes have been used to create work tables. 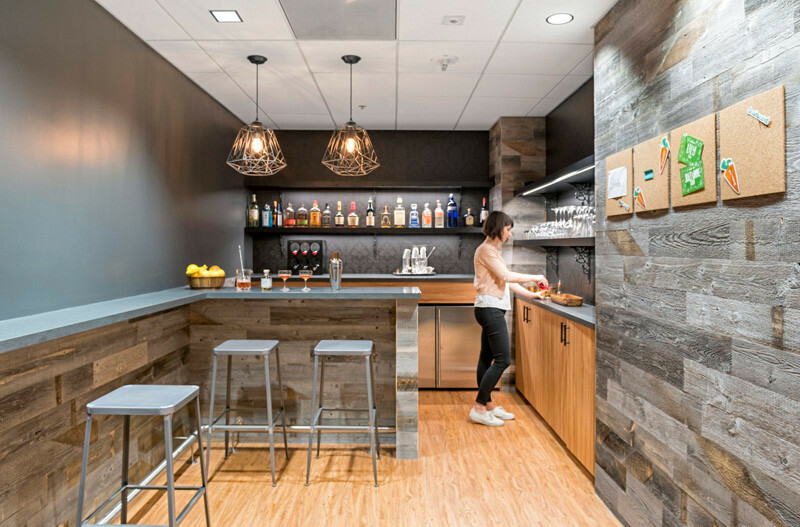 The office also has a small bar area.